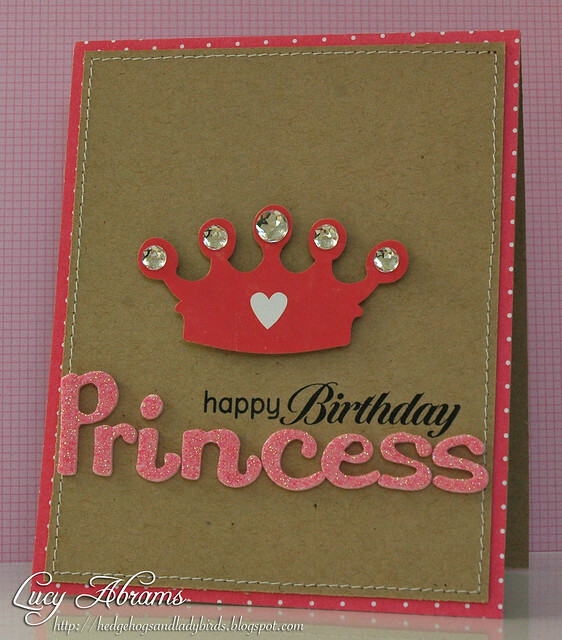 Here's a shiny and glittery card for a little girl. Love these Doodlebug gemstones. They're HUGE and GORGEOUS. Happy it's Wednesday, but I WISH it was Thursday... this week is dragging. Very fun! I just got me a whole bunch of Thickers, finally going to give it a try, yay!! Can't wait! Gorgeous card (as usual) Lucy!! Love the jewels in the crown!! I'm also a newbie-in-love with thickers!! great card Lucy. Love the gems too.